One of the most essential services for civilized living is cooking gas. 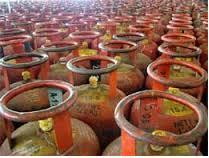 Liquefied Petroleum Gas or LPG is the most economical as well as convenient mode of gas used for cooking in many countries including India. In Muzaffarnagar too people have accepted the superior facility and service of LPG gas for cooking and most of the families have applied for cooking gas connections. The formalities for all the companies are easy and user-friendly. A connection can be fetched in Muzaffarnagar in less than a week and with government subsidy in cooking gas, it becomes quite cheaper and money’s worth. There are about seven companies that deal into Indane gas service. Here's the list. Here is a list of HP Gas agencies in Muzaffarnagar.